Dan Vaughan-Percussion	Dan is a percussionist who was born and raised in Harford County and frequently visited Music Land in high school as a customer. He received a bachelors degree in Music Education from the University of Maryland where he also played marching percussion in the Mighty Sound of Maryland marching band. Dan then went on to receive his master’s degree in Percussion Performance from Rutgers University. He has performed with local groups such as the Susquehanna Symphony and Bel Air Community Band. Dan has also played with a variety of ensembles on the east coast such as the College Light Opera Company, 2nd Star Productions, and the Garden State Philharmonic. Dan’s teaching style focuses around the belief that every student learns differently and that a great teacher can explain the same concept in fifty different ways. 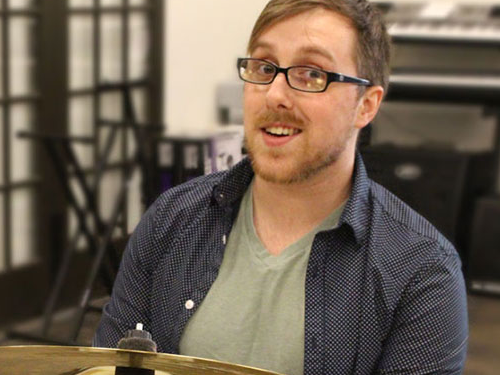 Dan’s teaching focuses primarily on reading music, playing by by ear, and learning the forty international rudiments. Dan teaches all types of percussion including drumset, mallet percussion, marching percussion, and concert percussion. Lessons are available to anyone over six years old.